With Carnival Magic’s debut just three days away, a few of the bloggers sailing on the inaugural May 1 voyage from Venice have agreed to spread a little magic to their readers through a series of fun giveaways. 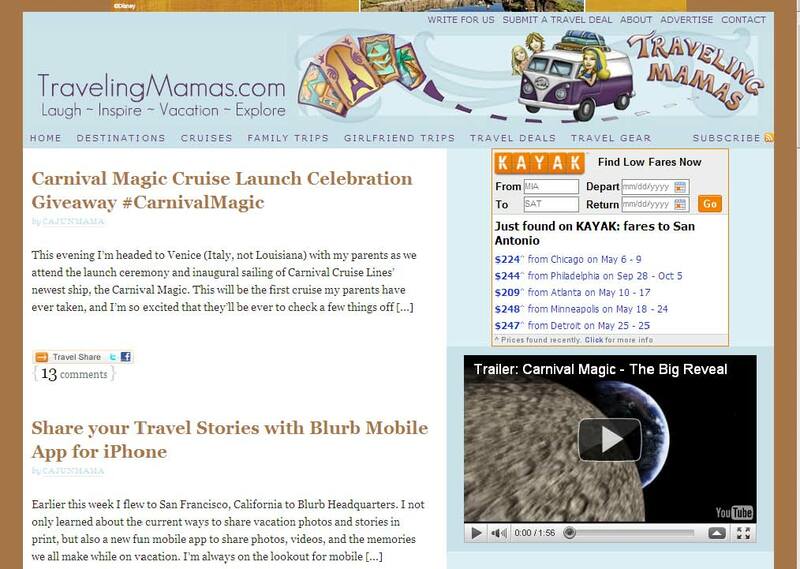 Shannon Hurst Lane from the popular travel blog TravelingMamas.com is asking her readers to tell her what they’d like to experience on Carnival’s newest “Fun Ship.” For full details on how to enter and win, check out Shannon’s latest post at TravelingMamas as she prepares for the maiden voyage. 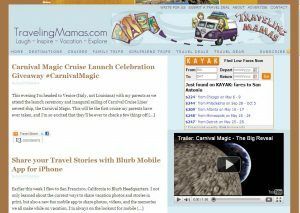 Follow Shannon as she experiences her Carnival Magic adventure or, in her parents’ case, their first-ever visit to Europe on Twitter at @CajunMama or @TravelingMamas, Facebook, and at TravelingMamas.com.